To succeed with analytics initiatives, your company needs to know what high performance looks like, and which companies are getting it right. 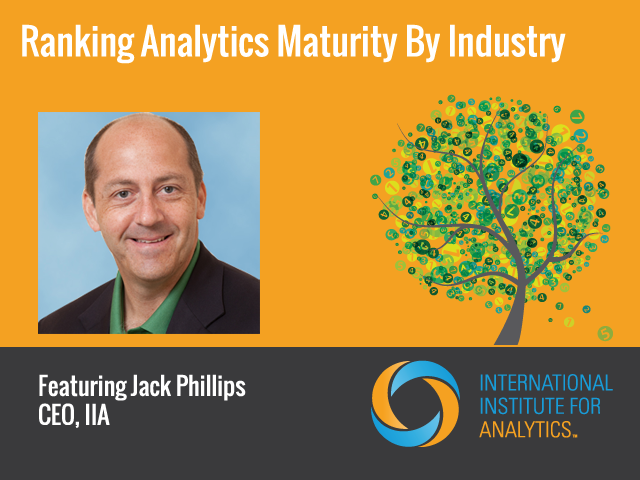 In this webinar, IIA CEO Jack Phillips and IIA Faculty Member Marc Demarest present highlights and key findings from IIA’s recently completed market study on enterprise analytics maturity. The market study (available to IIA member organizations) includes responses from 50 companies across 10 industries, including “digitally native” high performing companies and blue-chip industrial firms, using IIA’s proprietary analytics maturity assessment model.